Asurion is home to innovators, problem solvers and creative thinkers who all work together to protect the connections that matter. While we help our customers enhance their lives through technology every day, it’s our company’s strong culture and positive work environment that motivates our employees to reach further. And now, it’s time to celebrate. For the second year in a row, we are a certified Great Place to Work®! 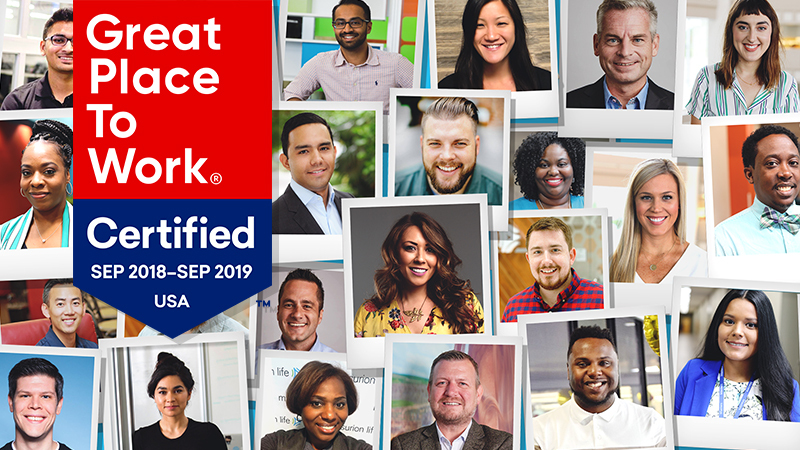 Great Place to Work® is a coveted national certification based on ratings provided by employees in anonymous surveys and is effective through September 2019. Top workplace and Asurion have been synonymous this year. On the heels of being named Technology Company of the Year, receiving recognition as a Top Workplace for the fourth consecutive year, and being listed on Computerworld’s Top 100 Places to Work in IT, the Great Place to Work® certification is a terrific validation of Asurion’s inclusive and collaborative culture. What makes Asurion a Great Place to Work? Simply put, we’re unique. Our culture of recognition: With nearly 1,000 annual, quarterly, monthly, and on-the-spot awards available across the company, Asurion makes one thing clear to its employees: We see you, we value you, and we want you to succeed. Did a colleague go above and beyond? Give them ACE points! Our ACE social newsfeed is designed to celebrate achievements and recognize hard work. Points can be redeemed for merchandise, gift cards, travel, and more. It’s always nice to say thank you, but showing appreciation with points that can be used for airfare is even better. The fund for employees, by employees: The Compassion Forward Employee Fund enables employees to help each other when life gets complicated. Every penny contributed by employees to the Fund is made available to help assist fellow members of the Asurion team get back on their feet financially when an unexpected catastrophic or life-altering event occurs. Over the last decade, we’ve been able to help hundreds of employees meet critical needs fast. Extending support into our communities: At Asurion, we have a history of supporting not only our clients, but each other. 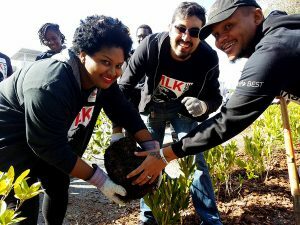 We’re proud of our culture of giving and volunteerism that makes our communities stronger and takes care of our team members when they need a helping hand, and we continue to put the same passion for helping others into all that we do. For our employees, spending a work day volunteering is not unusual. Many of our teams volunteer together as one team, from building Habitat for Humanity houses to adopting parks for cleanup. Good ideas from everyone: We believe good ideas come from everywhere, not just the corner office. 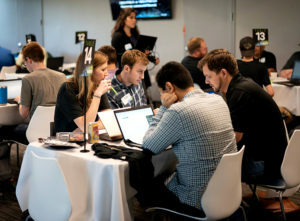 That’s why we invest in a culture of innovation, with events like Hackathons, where employees of all levels collaborate to come up with innovative ideas to improve our customer and employee experience. Ideas are pitched to a panel of judges and the winning concepts are set into motion and turned into reality. 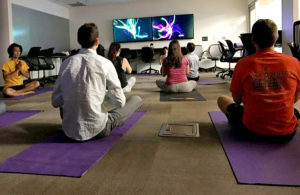 Asurion also has what we call “journey teams,” which bring together people from across the company and empowers them to ask the question, “How do we focus on what’s best for the customer experience?” They are encouraged to fully explore the best possible solutions to drive improvements and implement change. Culture champions: Asurion employs over a dozen People Service Coordinators (PSCs, aka “Culture Champions”) – full-time employees who are solely dedicated to motivating and celebrating their colleagues. Our PSCs help foster a positive work environment. They keep the pulse on employee happiness and organize frequent morale-boosting events. No birthday, work anniversary, or accomplishment goes unnoticed with PSCs at the helm. A commUnity for all: commUnity, Asurion’s diversity and inclusion initiative, is committed to ensuring that all employees feel valued and have a genuine opportunity to thrive and excel within the company. 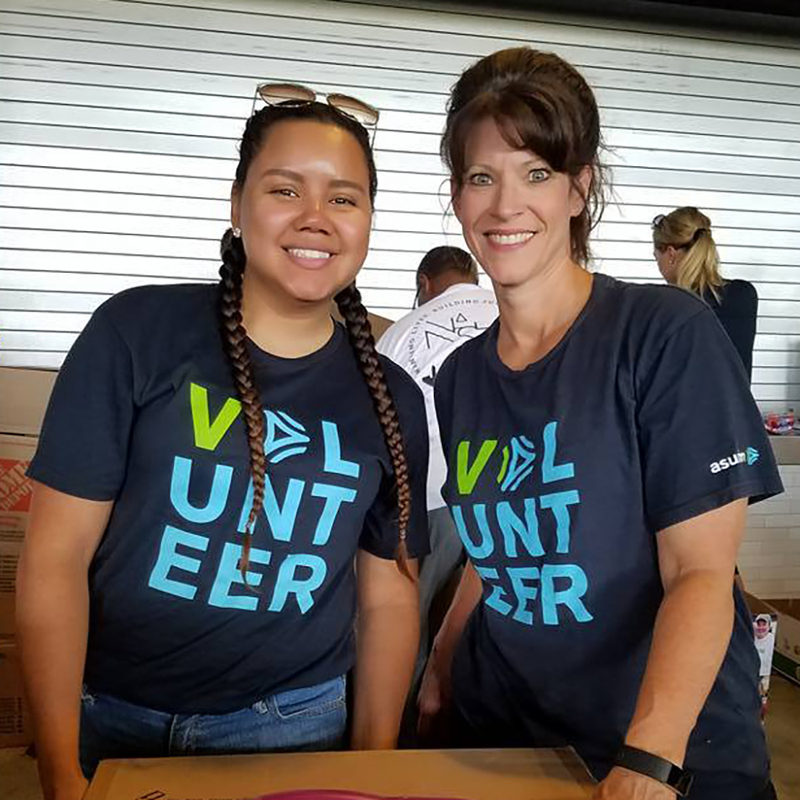 At the heart of commUnity are our Employee Resource Groups (ERGs), which unify Asurion employees with common interests for networking, mentorship, problem solving, and volunteerism. Take time for you: We empower team members to manage their work-life balance with a flexible approach to time in the office. Bottom line: We value good work, not how many hours you spend strapped to your desk. In addition, Asurion has a “no policy” time off program, meaning that exempt employees are not limited in paid time off and simply work with their leader for time off. Living your best life: Our wellbeing program goes a step beyond most and provides team members with free access to personal health AND financial coaches. Our programs do everything from providing team members with step-by-step, private financial guidance around major life events (like buying a home or preparing for retirement) to serving up a dose of healthy choices competitions. Helping our people grow: Our people are our greatest assets and we believe in putting them in the driver’s seat to advance their career and professional development. That’s why we provide the tools – including a library of over 6,000 on-demand learning options, job shadowing programs, and career coaching – for employees to define their own development goals and career plans with support from their leader. If an employee wants to further their academic education, we support them through a tuition assistance program. Bundles of joy: Asurion families rest easy during pregnancy with the help of our Maternity Concierge, an HR adviser who guides expecting parents through pregnancy by creating custom resources tailored to the family’s exact healthcare benefits. Asurion’s Healthy Pregnancy program gives expecting moms around-the-clock access to nurses and education resources as they prepare for their new arrival. 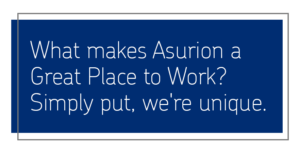 Want to make Asurion your next Great Place to Work? Asurion has over 16,000 employees in 53 locations around the world, with our global headquarters in Nashville, TN. Click here for career opportunities.